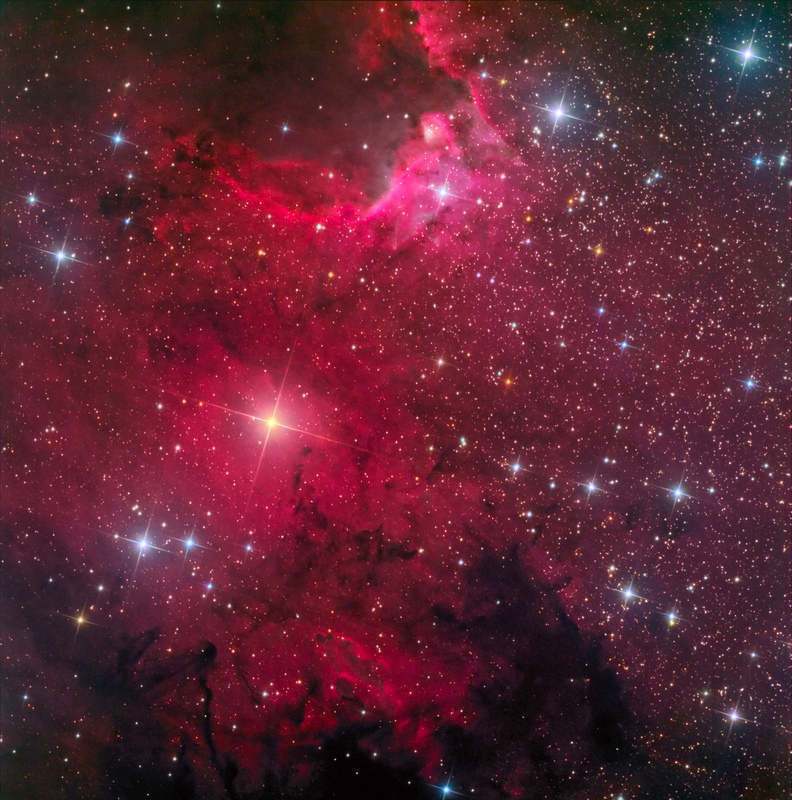 The Cave Nebula is catalogued as Sharpless 2-155 and Caldwell 9 as an emission nebula in Cepheus about 2900 light years distant. According to Galaxymap.org, Sh2-155 interacts with the Cepheus B molecular cloud that is ionized by stars from the Cepheus OB3 association. It is a place of massive star formation.